If there is a place on earth that could be considered a true haven for both Arabs and Jews, it is Brazil. I was born and raised in this beautiful country, which, troubled as it is by corruption, lack of security, social inequality, and many other issues boasts an extremely diverse, friendly, and hospitable population. In general, the different cultures that call Brazil home get along well, including the Jewish and Arab populations. I am an active member of our Jewish community, and without contradiction, many of my friends are Arabs - mostly of Lebanese and Syrian descent - with family names like Dahdal, Skaf, Kalil, Bittar, Mansour, Bechara, and Dib. In fact, Brazil is home to the largest Lebanese diaspora community in the world, with about 12 million Brazilians claiming Lebanese ancestry. They began their migration to Brazil soon after the visit of Dom Pedro II, the last leader of the Empire of Brazil, to the Middle East in 1880. Many influential Brazilians hold Arab roots, including our current President Michel Temer, the mayor of São Paulo (my hometown and the biggest metropolis in South America) Fernando Haddad, and Adib Jatene, one of the most important cardiologist in the world. Brazil was also a safe harbor for the Jews who first came here in the early days of Portugal’s 16th century colonization, escaping the Spanish Inquisition. More Jews subsequently arrived in Brazil with the Dutch sea-faring traders. The Netherlands was a refuge for the Jews that escaped Spain and Portugal due to religious persecution. 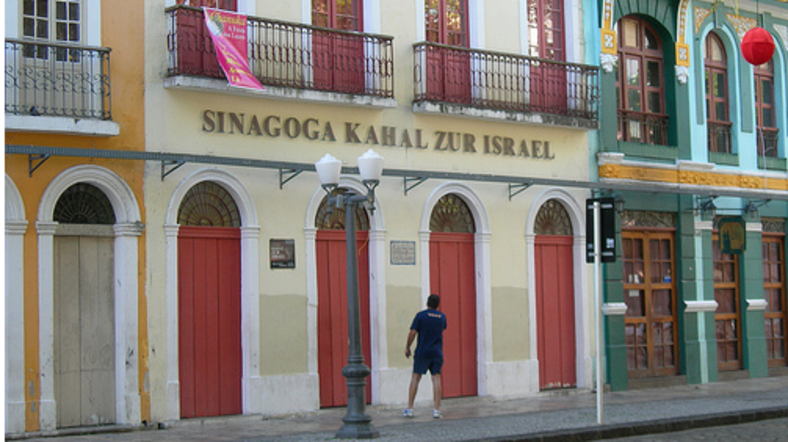 The Jews who arrived with the Dutch merchants beginning in 1630 founded the first synagogue in the Americas – which still stands in the same place – in the north-eastern city of Recife. Following the expulsion of the Dutch by the Portuguese, the Jews escaped to Curaçao in the Dutch Antilles, where another beautiful synagogue was set up with a floor made of sand. In pursuit of trade opportunities, the Jews of Dutch America moved further north, helping to found New Amsterdam, better known today as New York. 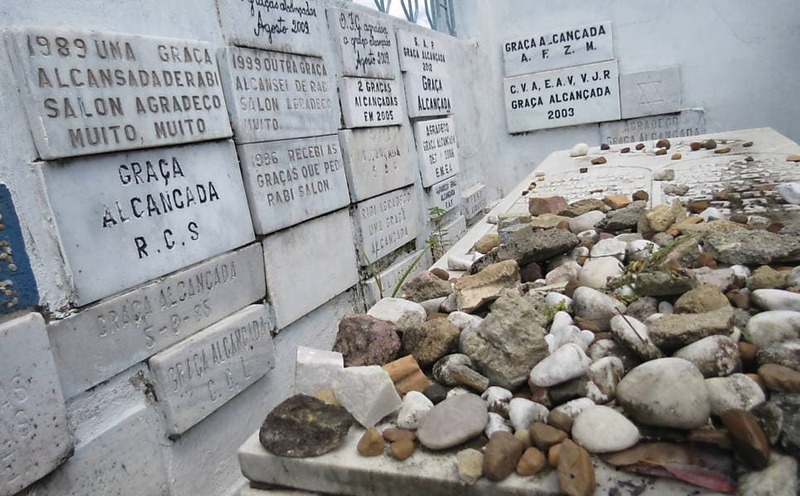 A new wave of Jewish immigration came during the 19th century with the arrival of Sephardic Jews mostly from Morocco, who established themselves in the Amazon region, in the cities of Manaus and Belem do Para. There is a beautiful story about a Moroccan Rabbi named Shalom Emanuel Muyal, who came to Manaus to serve the North African Jewish community. While he died soon after he arrived, probably of yellow fever, he has posthumously been ‘canonized’ by local Christians as a miracle-worker, able to cure the diseases of the pilgrims who continue to visit his grave. With the outbreak of the Second World War and its accompanying horrors, many more Jews fled to Brazil from their European homelands. Once the terrible scale of the Holocaust in Europe had been revealed, further waves of survivors arrived in Brazil. Arabs and Jews were readily accepted by the local population with open arms. 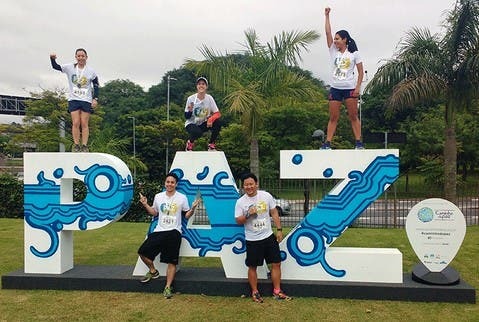 Brazilians recognized that both communities were hard working, and the country has valued their contribution towards making Brazil the world’s eighth-largest market. They worked together many times and grew strong, gaining wealth and influence while continuing their mutual support, working side by side, as partners, neighbors, friends and even as relatives. Two perfect examples of this are South America’s finest hospitals, the Jewish community’s “Albert Einstein” and the Arab community’s “Sirio-Libans”, both of which are located in São Paulo and compete as the best in the area while, at the same time, cooperating with each other on a daily basis. São Paulo boasts two Arab sports club, Sirio-Libanes (Syrian-Lebanese) and Monte Libano (Mount Lebanon), and the Jewish community has once called Hebraica. These clubs work together peacefully on projects such as the Caminho da Paz (Path of Peace) street walk. As in leisure, so it is in business. One can site numerous examples of Arabs and Jews working together, such as the commercial street in central São Paulo where they have worked productively side-by-side while competing for the same customers for their textiles, and similarly in Rio de Janeiro’s Saara market, where Jews and Arabs have worked together for many decades. The cooperation even extends into our personal lives, with examples of intermarriage between our two communities. One of the most elaborate parties was recently thrown to celebrate the marriage between a Jewish woman and her fiancé who comes from Syrian background. The families of considerable means became close, as did their respective communities. Brazil is a shining example of coexistence, a societal form to be replicated, and exported. Our country is a safe place for all races and faiths, a state where people from diverse backgrounds work together, fight together and try their hardest to build a better world. Ariel Krok was born and raised in São Paulo, Brazil. 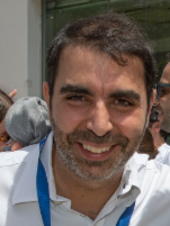 He works in the telecommunications field and volunteers with the Brazilian Jewish community in various capacities, including participating in interfaith groups with Brazil’s Christian and Muslim communities. Ariel is also a member of the World Jewish Congress’ Jewish Diplomatic Corps.